The pillars of a Rollins education: focused study in a major and building competencies through Foundations courses. Empowering students to make connections across perspectives and to anticipate an increasingly global future. Examine the scientific, artistic, literary, cultural, and socioeconomic dimensions of our evolving world. Think strategically and act ethically abouy your roles. Develop the capacity to analyze issues with multiple complexities and develop nuanced perspectives. Topics of inquiry and exploration include hybridity and diversity in religion, music, and philosophy; the effects of globalization on humanity and the natural world; and the social, political, and cultural ramifications resulting from societal, and natural migrations around the world. Jack the Ripper, climate change, Bigfoot, crime scenes, suicide bombers, peacebuilding, pirates, the Third Reich, American politics, and one hit wonders: Examine big questions that do not have simple answers. As we find comfort in what we hold to be true, we remain fascinated by that which eludes us. Explore what we may not know about our world, our community, our friends and families, and ourselves. 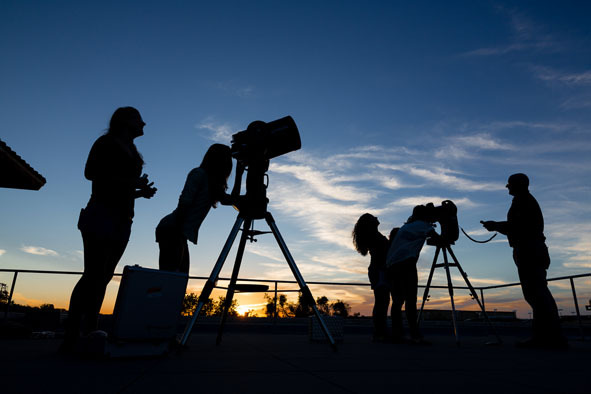 Through a diverse array of courses, students will examine all kinds of enduring questions — ranging from artistic marvels and scientific wonders to political and cultural blind spots—in order to acquire the skills necessary to unlock the enduring mysteries of the universe… or at least of contemporary college life. The earth is one interconnected system and humans play an integral role. Discover how to have a positive impact on social, cultural, and global environments. Gain the skills needed to identify, analyze, understand, and make sigificant changes to the environments we share and the relationships we have with science, environment, and personal responsibility. The study of identity is fundamentally the study of context. Examine the communities and networks that shape the ways that we exist in and interact with the world around us. Analyze these intersections between self and community, we will come to understand how people of diverse backgrounds impact, and are impacted by, the larger social, cultural, natural, and physical networks of which we all are a part. Be empowered to take meaningful and responsible action as citizens of the world – a goal that is central to our College’s overarching mission. Develop your creative skills and build the world of tomorrow. Investigate innovation and creativity across the centuries in all their forms, including science, philosophy, art, and entrepreneurship. Live and work as creative citizens by bringing positive changes to your global and local communities. Test the boundaries, push conventions, and devise new ways of living in a rapidly changing world.